California became a state September 9, 1850, the 31st state admitted to the Union. In 1849 John Sutter Jr laid out a town near the entrance to gold rush country, and it skyrocketed to a population of 10,000 in seven months. 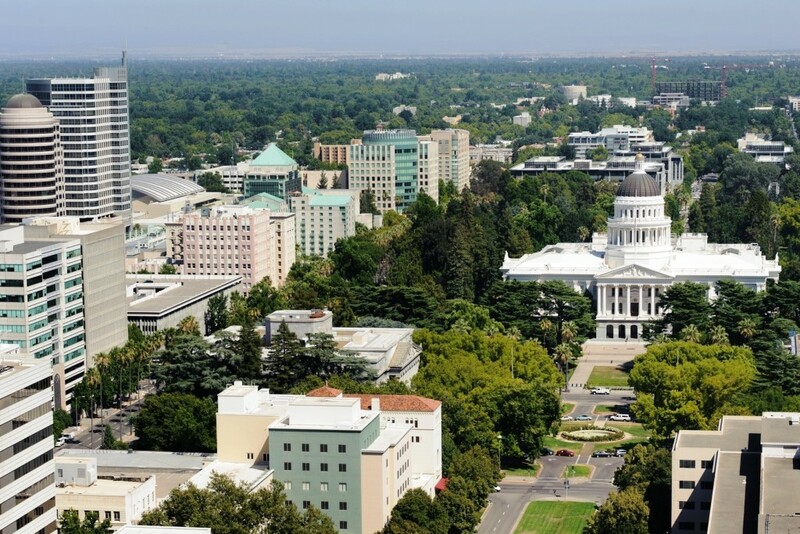 Named Sacramento for the Sacramento River, which was named by Spaniard Gabriel Moraga (1765-1823) as “River of Most Blessed Sacrament, it has been state capital since 1854. The capitol was constructed over a 20-year period and is surrounded by a 40-acre park. Its heavy wooden doors are hand-carved with California bears, and each handrail is covered with gold. Transportation has helped Sacramento grow. In 1860 it was the western terminus for the Pony Express. Four Sacramento citizens financed the building of the Central Pacific Railroad over the Sierras. Today deepwater ships reach the city via a 43-mile channel from Suisun bay. See the history of the city in Old Sacramento, a 28-acre area along the banks of the Sacramento River; ride riverboats, trains, wagons. At California State University-Sacramento a replica of the Golden Gate Bridge serves as a footbridge across the river. The gold-rush aura in the air, the California double-dare, the spirit of the pioneers, history, diversity, variety. The delta atmosphere, things growing, thick and green. Mountains near: Sierra Nevada. Mount Whitney in the east central part of the state is the highest point in California at 14,505 feet.